All the afro latin rhythms with the highest sound quality. From Cuba to Republica Dominicana, hot latin rhythms like son, guaguancó, columbia, bembé, chacha, mambo, merengue, bachata, and 100 more!!! So easy to use, you can edit or create your own rhythms. 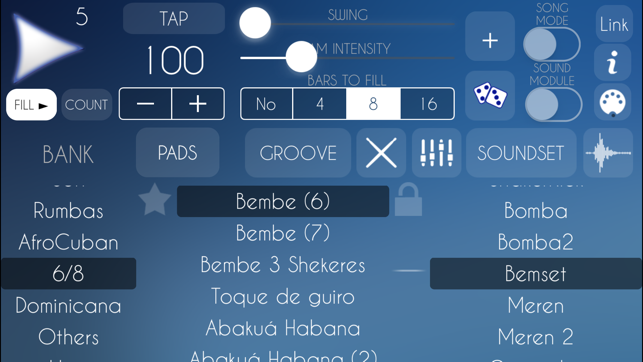 Song Mode, Jamming tool, fills and randomizers brings AfroLatin Drum Machine into a new level. 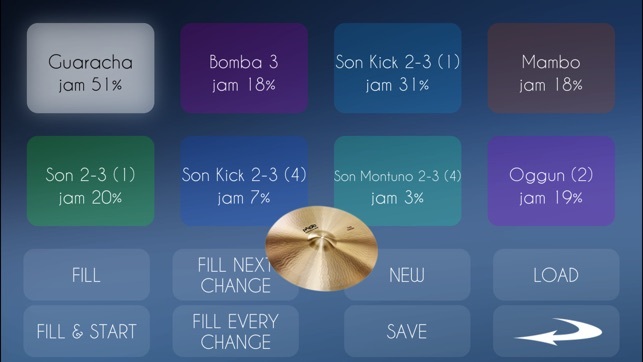 Song mode allows to create your structures in seconds and the Jamming Tool will feel playing with human percussionist. No more boring repetitive percussions!! Audiobus and Inter-App compatible! Stream live audio directly to other Audiobus-compatible apps! 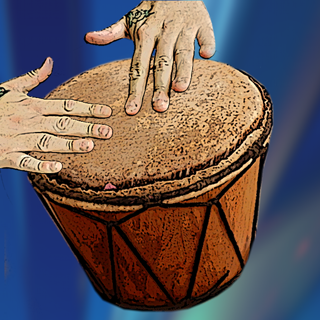 Afron Latin Drum Machine is your personal latin percussionist. 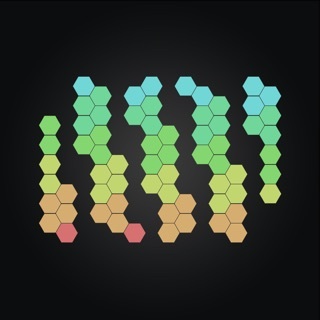 This app is a very well done drum machine programmed with an enormous amount of rhythms including Batá, Dominican and Puerto Rican rhythms. Highly recommended. 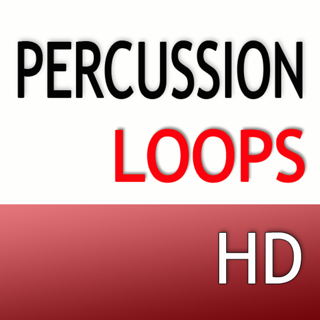 I'm a percussionist/drummer and I really like this app to study along with on my main percussive instruments or as a drum machine for practicing piano and bass. Personally though, I don't understand the use of the Puerto Rican flag on the app icon since a good 80% of the rhythms are actually Afro CUBAN. Bomba from Puerto Rico only has 4 presets and I don't even see a plena preset. Merengue and bachata on the other hand has a whole category. I appreciate the Puerto Rican contribution to hispanic American music as much as anyone but in this case if the overwhelming amount of presets on your app are Cuban then use that flag or use a neutral no flag icon. ...has no limits. I have all but three of his drum apps and I'll likely buy two of them soon. The EDM one just doesn't fit what I'm doing. But I'm sure it's as ingenious as this one. This app is packed with all kinds of things. Boat loads of samples, train loads of styles, truckloads of options. 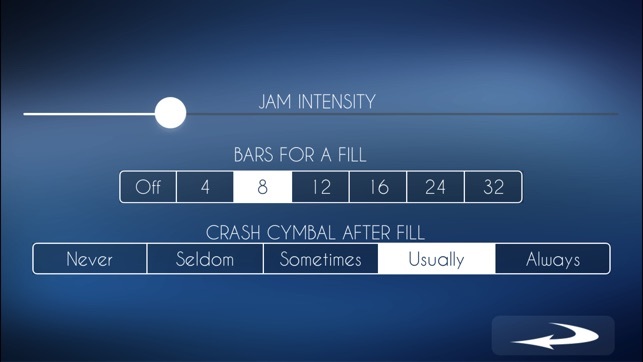 You can jam along with the app and it will automatically add fills where you want them. You can create and save rhythms. You can string several different rhythms together to make a song and tell it where to put in fills. You can do odd time signatures. You can do straight beats or really get it swinging for some Afro-Latin Texas shuffle, lol. Most importantly, even I can use this app with ease. I don't get along well with drum machines because they're a bit too time consuming and I'm just not a drummer. My programming sounds robotic and it takes me an hour and a half to sound that good. 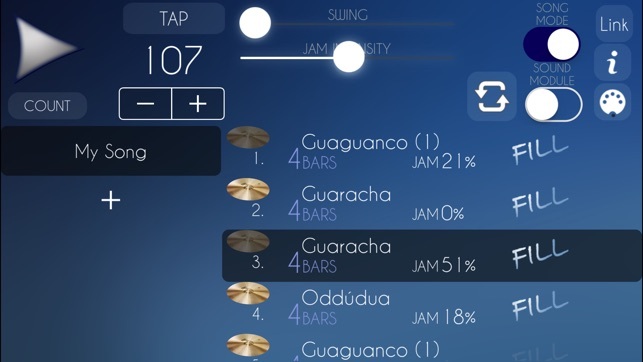 With this app (and the others this dev makes) it has enough of a drummers mind that I just have to get the basic pattern going then it'll take it to another level and it happens in minutes. It's worth every penny. Go ahead and tap "buy". Very versatile and natural-sounding. 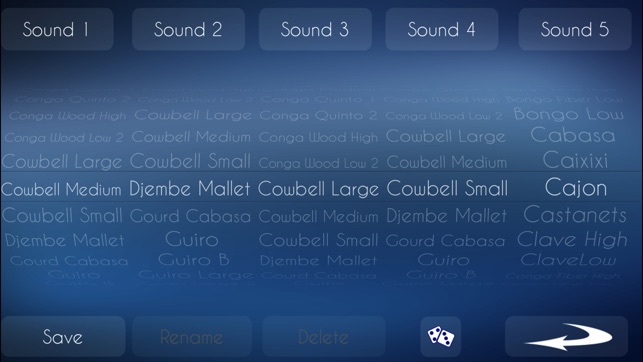 But in the current phone version, if you’re playing a preset in the groove sequencer editing section, the steps are not highlighted as they are being played. So you’re forced to guess which sound is getting modified when you’re playing around with the sequence. Hopefully a minor bug that is easy to fix. Also, instrument sounds have a higher, more appropriate pitch on the ipad than their counterparts in the iphone version. I hope they correct the iphone sounds to match those from the ipad coz it’s kinda ruining the whole vibe.